How do I explain Scooter (Scott) Braun in four words? He is the man! He is thirty-three years old, he was named one of TIME Magazine’s 2013 “100 Most Influential People in the World” as well as been on Billboard’s 2013 “40 Under 40” list. He is not only an artist manager, but a friend, confidant, and father figure to his developing young artists. In an interview with The Complex he says, “My job is not to be the all-star quarterback, but to be the coach.” In the music business, at least of past artists I have read about like The Runaways, the Backstreet Boys, and N’SYNC, many managers take advantage of their artists. From taking large management fee cuts (Lou Pearlman) to exposing young artists to situations like drugs and alcohol (Kim Fowley) instead protecting them and being more of an authoritative or parent figure. 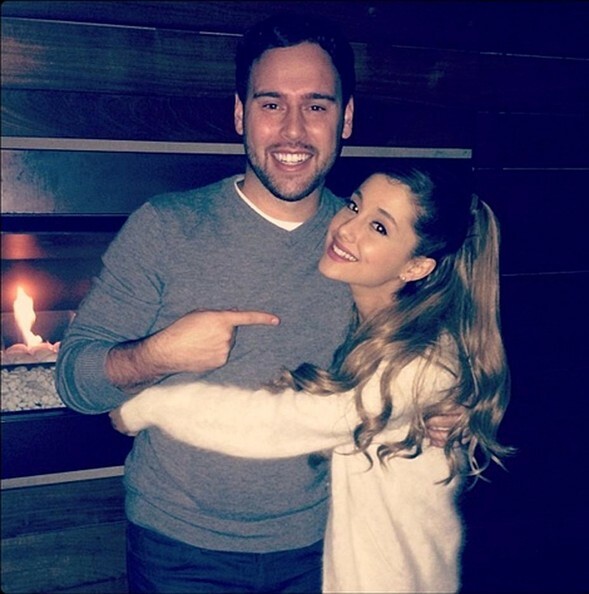 Scooter Braun seems to be the complete opposite – someone to look up to, to respect, and will put you in your place if you are doing something stupid. He has high standards for himself, his employees at SB Projects, and for his artists. He invests time, money, and energy in people. Braun has broken more new music acts than any other music executive in the last decade including, Justin Bieber, Ariana Grande, PSY, Carly Rae Jepsen, and most recently, Tori Kelly. Braun started as a party promoter at nineteen where artists such as Brittany Spears and Ludicrious attended. At twenty, he became VP of marketing at So So Def Records while a sophomore at Emory University in Atlanta. He ultimately dropped out of college while at So So Def and was fired from the company due to a dispute over the direction of the label. At twenty-four, he started SB Projects. His Company philosophy is that everyone is family. His artists share the same family values and everyone has to get along. He understands that in this business and when managing young people they are going to make mistakes, and since they are growing up in the public eye, those mistakes are more difficult to deal with because everyone has an opinion about it. In The Complex Interview he said, “I’m not interested in the mistakes that people make. I’m interested in how they react to them.” Everyone makes mistakes whether they are kids or adults, but without them we can’t learn and grow. I think one of the great things about Braun is that he doesn’t put limits on his capabilities. When people tell him that something is impossible he pushes even harder to prove the nay sayers wrong. When he discovered Bieber nobody thought it was going to work because he didn’t have a Disney or Nickelodeon kid’s show backing him. Now, the reach of Bieber’s social networks like Facebook and Twitter can speak to millions of people. According to an article in The New Yorker, in marketing terms, his reach would cost ten million dollars to replicate through conventional advertising methods. Since Bieber’s reach is so high Braun has him communicate and support other artists through his networks. This helps with cross promotion of artists and allows Bieber to have another stream of revenue. Braun believes in the power of numbers, and the more support, the more potential artists have to be successful. In Forbes Magazine, Braun states, “as a music industry if we remain in competition we die.” That line is kind of perfect because society is constantly in competition from job hunting to being in line for Christmas to get the hot new toy. Instead Braun’s approach is support, believing in people, and giving back to others less fortunate through charity with every project and artist he handles. This business is about getting an artist to say yes, respecting the consumer, making a viable product, getting people to see it, and telling a story that connects with society. If you have that, success will follow.